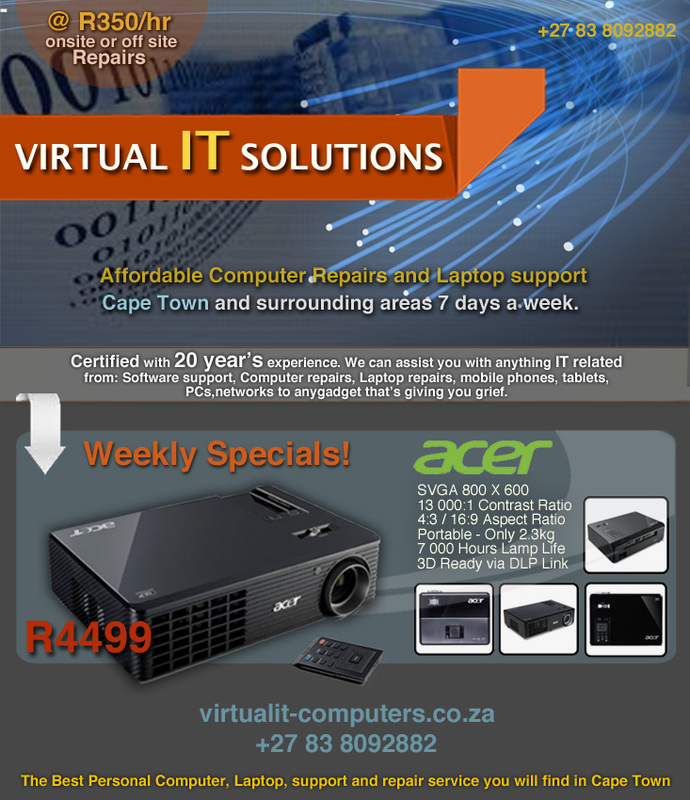 Computer and Laptop Repairs,Network Setup and IT Support @ R350 per hour. Expert Computer repairs. 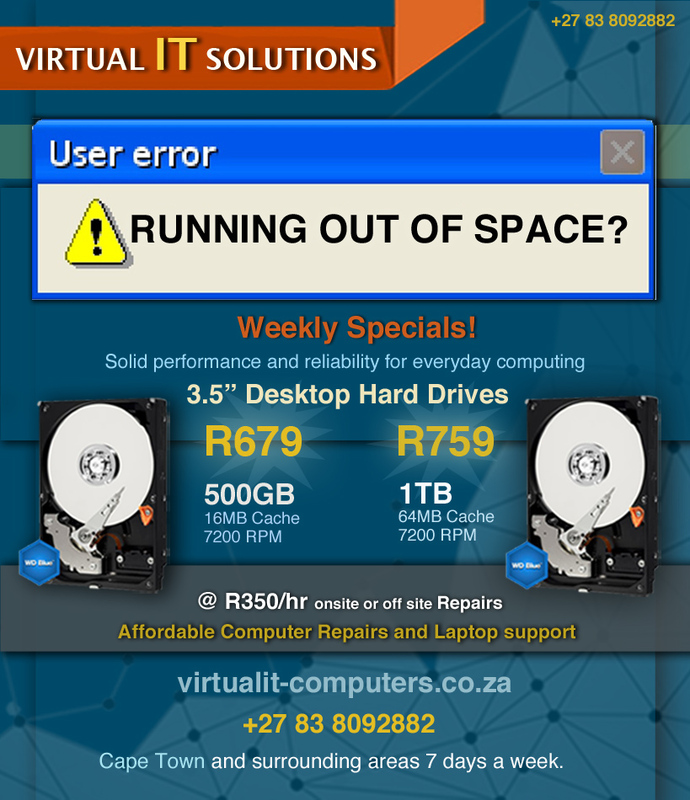 We don’t replace hardware unnecessarily. One of the biggest misconceptions about computers is that it takes a rocket scientist to fix any problem that might show up on one. I’m here to tell you that fixing your computer is something you can do…. Now, in no way am I calling down your local computer repair personLinkedin Profile – they’re by and large a very smart bunch of people, usually with a lot of education and experience. However, the fact remains that a large portion of the problems that computer users encounter can be easily solved by following freely available advice on this site soon and other sites online. Even more difficult problems can be solved if you’re willing to invest a little time to learn a few things about your computer along the way. Important: At very least, before you take your computer in for service, see my List of Common PC Problems and How to Fix Them. If you don’t see your problem there, be sure to search for it in the search box at the top of any page. 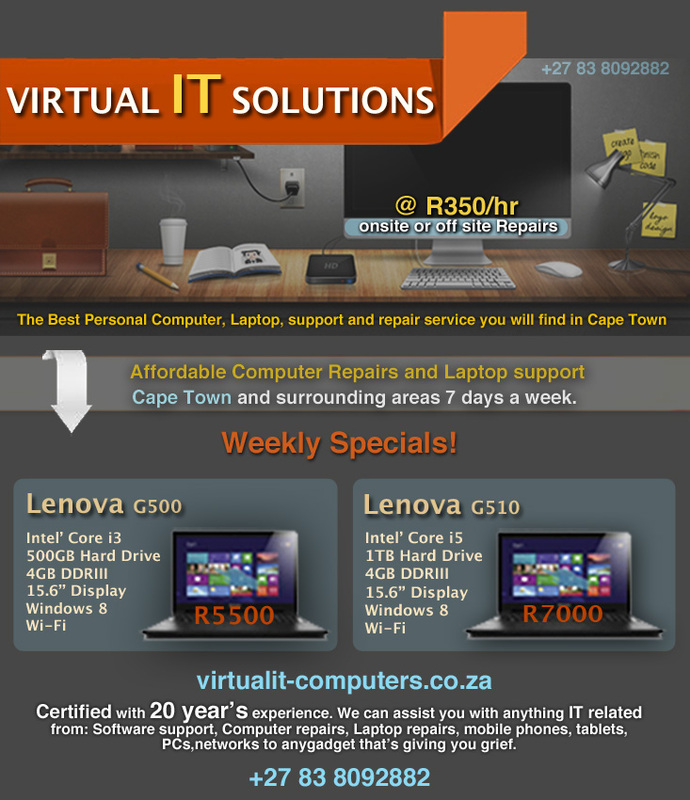 Getting your computer serviced at a local shop will usually run you from R300 per hour or more. Some are less expensive but that’s not the norm. Remote computer support options are typically cheaper but they can only help fix some software related problems and are useless in cases where hardware is to blame. If you fix your computer problem yourself, you can completely avoid what might end up being a several hundred dollar bill. No matter what your financial situation, free is a pretty good deal. That’s a lot of money you can save by investing some time in trying to fix it yourself. Many people think that they have to buy lots of expensive diagnostic hardware and software to fix a computer. This is absolutely not the case. Expensive tools do exist but they’re usually used to help computer repair services test or solve things quickly or in bulk. You might be thinking to yourself at this point thatsurely it’ll take days or weeks to learn enough to repair your own computer and that it won’t be worth the trouble. You need your computer working right now, right? First of all, unless you’re lucky, after you drop your computer off at the repair shop you’ll likely be waiting at least an entire day, usually longer, before you’ll be able to pick it back up. You are your only client when you’ve become the repair person yourself so my guess is that you can get on it a bit more quickly. Secondly, you might be surprised to know that most common problems are solved by relatively simple steps. The more time you spend looking for solutions to computer problems online the more you’ll see that this is true. Finally, and I really want to stress this one, you don’t need to learn to solve every computer problem to solve this computer problem. 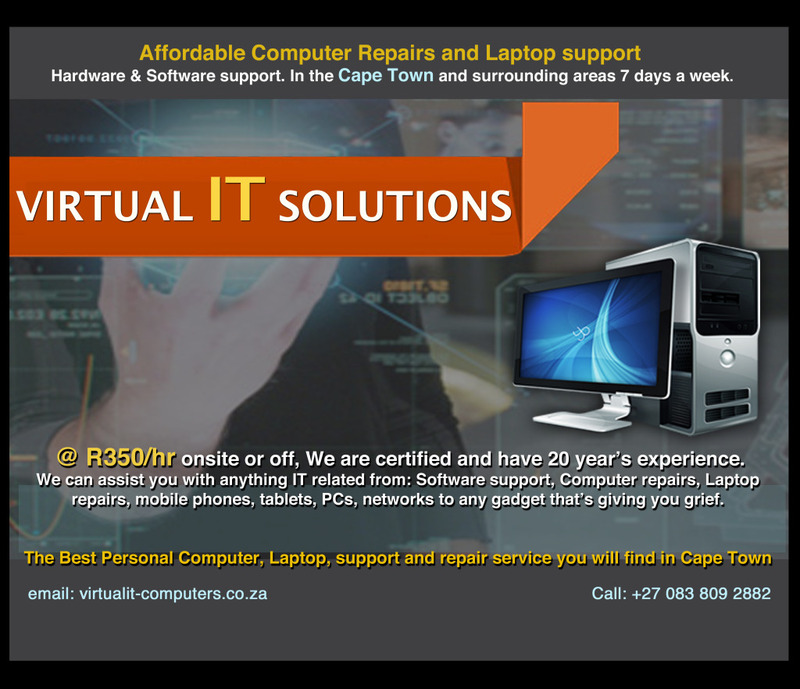 A knowledgeable computer repair person has a lot of experience and education and can solve a multitude of problems with ease. You don’t need to reach this level of knowledge about repairing computers. 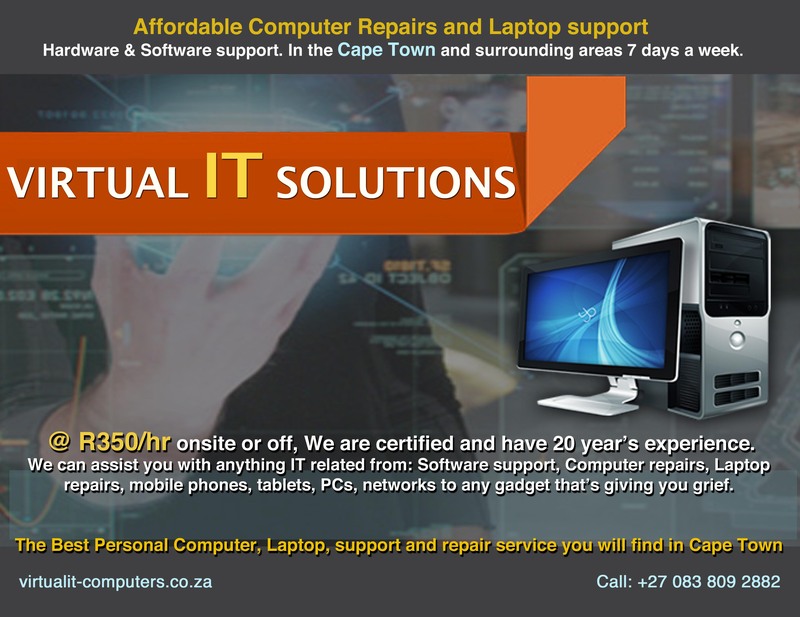 If you’re having trouble using the mouse, keyboard, or screw driver then you might have a problem repairing your PC. Otherwise, you’re only a step-by-step troubleshooting guide away from solving pretty much any computer problem you might see. So much great information is available to help people solve PC problems online, from self-help troubleshooting guides and tutorials like you’ll find on my site here, to personal help on social networks and forums, something you can read more about on my Get More Help page. If you can think logically, follow instructions in order, and ask questions when you’re not sure about something or don’t understand, then you should feel confident enough to try to fix your own computer problems before you even think about paying someone else to. If all this fails feel free to post your questions here and I will see how I can help. Or give me a call and i will sort out your issues at a charge of course. Usually the end of an operating system era is not that much of a big deal. Mainstream support for Windows Vista happened to pass us by without more than a wink just a few months back. But seeing as Vista has an installed user base of just over 6% remaining, I don’t think there is much discussion warranted for how to handle its remaining faithful. E+ven as of June 2012 Windows XP had a strong 43%+ of the OS market, which is remarkable for an OS that is over 10 years old already. In practical terms, this means that over 4 of every 10 PC users is still working on the aging platform. Computer repair technicians definitely have a challenge in getting customers to make the move to the more solid Windows 8. While all new PC systems are currently being shipped with some flavor of Windows8, the real problem lies with the droves of users we still support on XP. As consultants to our customers, we need to take their circumstances into account and give them the best possible advice when it comes to using a Windows XP-based system going forward. Many questions come to mind involving such an entrenched user base. Will XP activation be available even after support ends? What will the driver situation be like in the future? 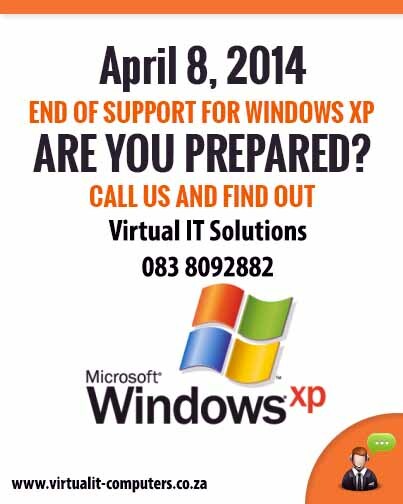 How do I make sense out of all the dates that Microsoft has been releasing to the public surrounding XP’s future? Talk about the elusive Surface Mini has gone down a few notches these past few months. 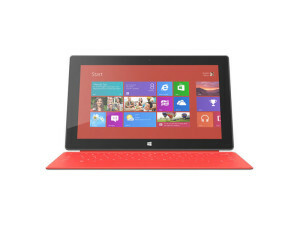 Many expected this tablet to just be a straightforward small version of the Surface 2, however. But new details have emerged about the tablet, and it seems Microsoft is up for something different. It is being reported that the device is pretty much ready for action, and could hit the market anytime this year. And while Redmond is still tight-lipped on such a project, the company is said to be planning to position this as a note-taking device. The logic behind this is to have clear distinctions between all Surface models on the market. Not the worst idea ever, makes all the sense in the world, if anything. Obviously, since the device is being designed to take notes on the go, the Surface Mini will offer support for pen input — touch will not just be the only primary mode of input for users. 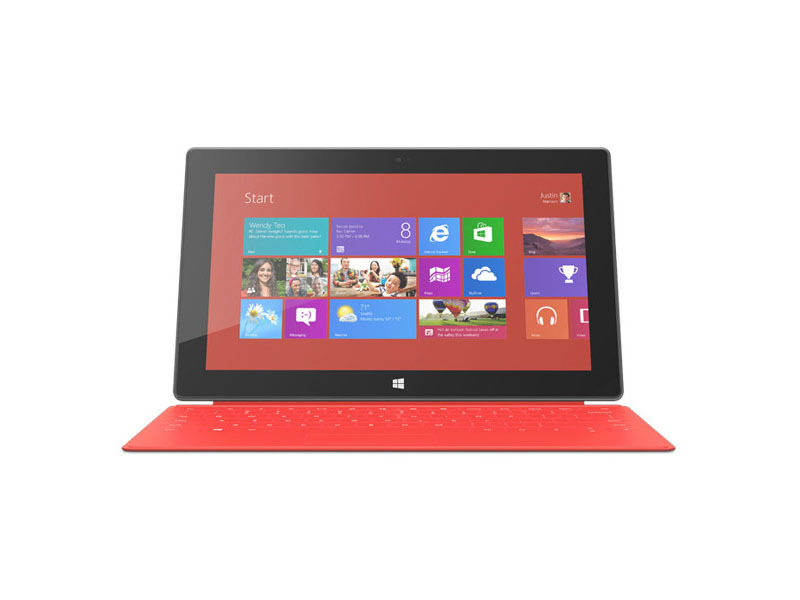 This does afford Microsoft the luxury of opting for a including a 7 inch display or go all the way up to 8 inch. Microsoft is also said to be preparing some new tools on the software side, along with the necessary touchups for OneNote to make it easier to use on the small screen. However, some apps that are available on the Windows Store right now might be incompatible with this model, and it obviously will not be able to run legacy Windows software and programs. No pointers on the hardware specifications yet, but previous rumors have hinted that the company might try and attach a price tag in and around the $250 range on the Surface Mini.